The dress Amy Winehouse made famous on the cover of her hit record "Back to Black" could now help some young people battling addiction. Amy Winehouse's inimitable style was immortalized again on Tuesday — at an auction and for a good cause. The polka-dot chiffon dress she wore on the cover of her breakthrough album "Back to Black" was bought at auction for $67,120 by a Chilean fashion museum. The dress was auctioned by its designer, Disaya. The same auction saw for sale dresses that had been worn by legends like Elizabeth Taylor and Audrey Hepburn. Disaya said she was donating the proceeds from the sale to a foundation that was established in Winehouse's memory to help troubled young people, especially ones struggling with disabilities or addiction. Winehouse herself died in July at the age of 27, a casualty of her own addictions. The late singer's dad Mitch Winehouse, with whom she was always very close, said he was "over the moon" at the Museo de la Moda's winning bid and at Disaya's plans for the $67,120 that the dress fetched. 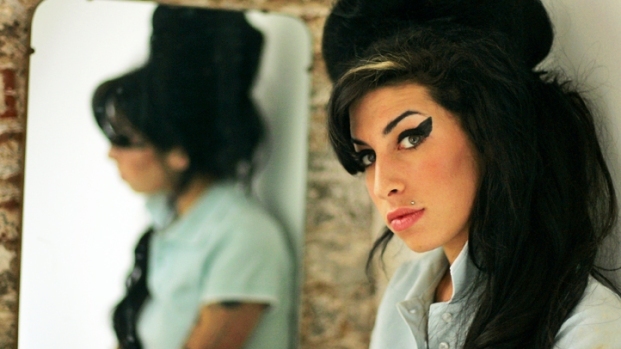 The Amy Winehouse Foundation will also get a kick-start from sales of a new album of Winehouse's unreleased recordings, "Lioness: Hidden Treasures," to be released Monday.